We service Montgomery County PA, Chester County PA, Delaware County PA, Bucks County PA and the Philadelphia Region. 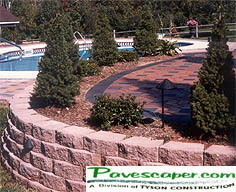 Pavescaper.com, a division of Tyson Construction, is a family owned business with 20 years of experience and service in interlocking concrete paver patios and walkways, modular retaining walls, granite cobble curbing and aprons, landscaping, construction site work, excavation, clearing, grading, storm sewer and utility work, in addition to asphalt paving of driveways, and parking lots. Our services include both residential and commercial projects. Visit our project photo gallery to see our work and get ideas for your project. References are available by clicking here. We are reaching out to customers with aggressive pricing and superior service in hopes of building new and productive relationships. 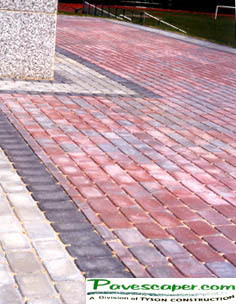 Please don't hesitate to contact us with any of your hardscaping, landscaping and excavation needs. We look forward to hearing from you and we thank you in advance.